For the third play of its 2019 season, Repertory Philippines takes audiences behind-the-scenes of the theater, exposing its vivid inner workings and hidden secrets. 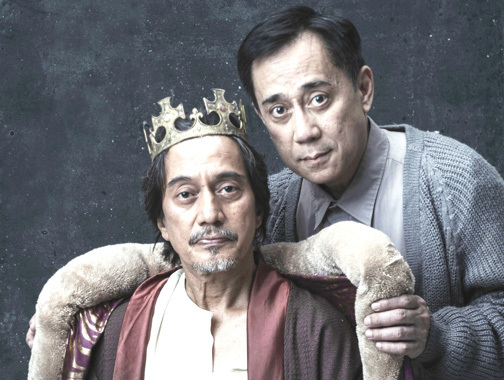 Two legendary theater veterans, Teroy Guzman (left) and Audie Gemora, join forces in The Dresser. Running from May 3 to 26 at the Onstage Theater in Greenbelt 1, The Dresser is drama at its finest, bringing together brilliant writing, directing, and acting to tell a story about devoting your entire life to your craft. After The Dresser’s run, catch The Quest for the Adarna in September. Perfect for kids and kids at heart, this original REP play transforms the beloved Ibong Adarna tale into a colorful English musical. Grab REP season passes to watch these two plays at discounted prices. For updates and show schedules, log on to www.repertoryphilippines.ph, like and follow @repertoryphilippines on Facebook and Instagram.